Having not managed to wish readers of this blog a merry Christmas and not put up any illustrations from Dickens, who, to my knowledge, describes festivities only in A Christmas Carol and in Pickwick Papers (by far preferable), I feel I must express a hope that everyone had a merry or jolly or peaceful Christmas according to their preferences. On to the last week of the year and then the new one. 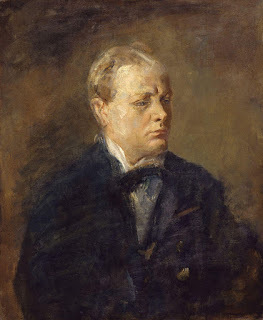 ... in 1874, Sir Winston Spencer Leonard Churchill. The current Conservative History Journal has a couple of extremely interesting articles about him that remind us of the fact that he remains a controversial figure as is right and proper. At the 11th hour of the 11th day of the 11th month the guns fell silent. It was not the war to end all wars and we have had a number since then. 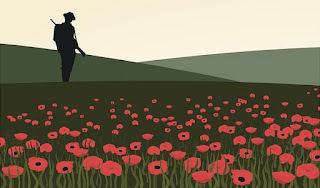 But at that time we remember all the dead of all the wars and honour those who survived. 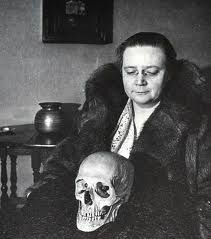 Dorothy L. Sayers, for reasons that are still debated by literary critics and historians, abandoned the writing of detective stories in 1937 though she continued to review other books in he genre and was very active in the Detection Club (here is my review of Martin Edwards's history of that august institution, in case anyone is interested). She became more interested in theological matters, social commentary and, eventually, translation of Dante. With C, S. Lewis and Charles Williams she became during the war a popular commentator from the right-wing perspective (unlike J. B. Priestley whom she greatly admired) and a popular theologian. The long essay I have just finished reading, Begin Here, was commissioned and written at the end of 1939, during what is known as the "phony war" and published in early 1940. It was reprinted and republished many times during the no longer phony war, despite paper rationing. 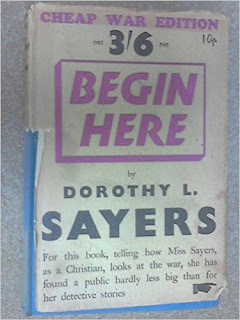 In this Sayers tried to sum up what she felt had gone wrong with the country, its society and the its people and proposed some tentative ideas about what might have to be done after the war. It is curious how many people at various points of the political spectrum started thinking about post-war society almost as soon as the war began, there being a general assumption that this war would really change everything. There are too many things in the book for me to discuss in just one posting but let me refer to something that amused me intensely and made me realize that some annoying aspects of our own society goes back a lot further than we sometimes think. I am perpetually disquieted by the popular appetite for what is (horribly) called the "personal angle" on every question. This irrational obsession pervades the newspapers, makes the lives of public characters a burden to them, distracts public worship from its proper object, and is rapidly destroying the intelligence of the people. It is as though nobody cred fro what is said, but only for who says it. an unsigned article in a newspaper carries no weight, however sound its arguments; except in those few national organs that are still read by highly educated people, articles on theology, drama, science, sociology, poetry or any other special subject have to be sponsored by "a name" if they are to attract attention - nor does it seem to matter in the least whether "the name" knows anything about the subject or not. All questions of fact and all judgements calling for specialised experience must be referred to the people who have that special knowledge and experience. But when we have heard what they have to say, we must use our individual judgment as to the action to be taken, bearing always in mind the geral principles by which we have decided that the world should be governed. We must also remember that an expert in one department is only an amateur in another; a biologist is no more specially qualified to pontificate about theology than a theologian to lay down the law about stage-management. 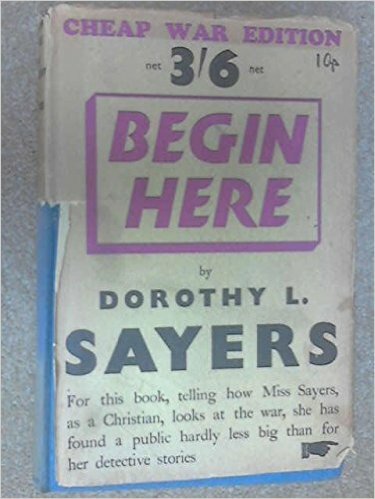 What, I wonder, would be Miss Sayers's opinion of the likes of Benedict Cumberbatch, a successful and fairly talented actor, who seems to have set himself up as an expert on all subjects to do with morality. This, as it happens, came out before the second volume of Charles Moore's magisterial (the only word one can use) biography and concentrates on just two years of Margaret Thatcher's premiership: the first two, before she established her control over the party and laid the foundation for her achievements (or otherwise, if you happen not to like what she managed to do). 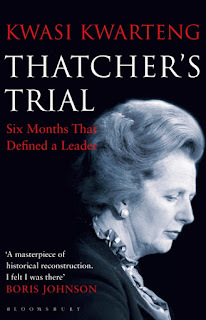 I found Kwasi Kwarteng's Thatcher's Trial on the shelves for new books of London Library and took it down immediately. 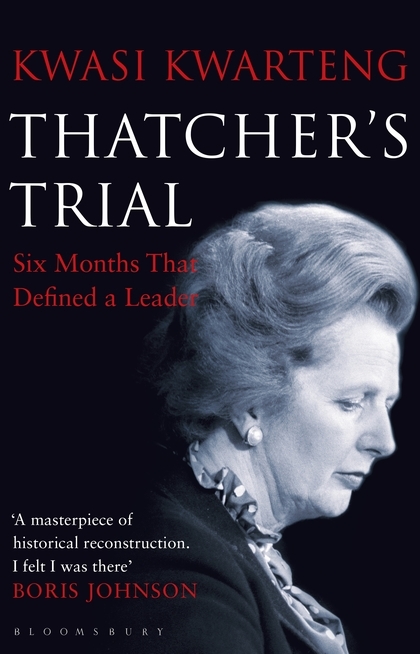 Thatcher's Trial is a short account of the six months which defined Thatcher as a leader. 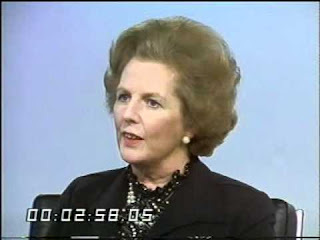 These six months started with the budget delivered on 10 March 1981 and ended with the reshuffle of her government which took place on 14 September. 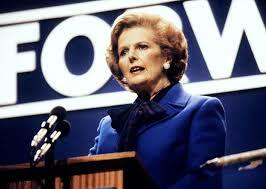 during this period, Margaret Thatcher showed herself to be inflexible, tough minded and courageous. Her judgements were clear but often wayward; her self-belief sometimes faltered, although publicly she never let any hesitation blunt her message. She always conveyed an image of utter certainty, even when some of her closest allies openly expressed reservations. I am looking forward to reading Mr Kwarteng's description of all of that. 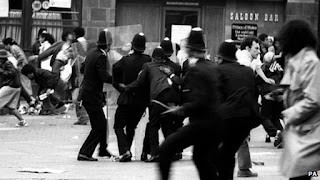 In the first place, however, I was reminded of the fact that the famous September 1981 reshuffle got rid of a number of wets and, more to the point, a number of grandees who had assumed that the Conservative Party was theirs to run. Among these were Sir Ian Gilmour and Lord Soames whom Mr Kwarteng describes as having had "a political career of considerable distinction" but whose achievements (with the possible exception of his stint as Our Man in Paris) depended very largely on the fact that he was Sir Winston Churchill's son-in-law. Neither of them every forgave her. His sacking was a notable scalp for the daughter of a Lincolnshire grocer. To Margaret Thatcher, who was not so often as obviously class conscious, Soames gave 'the distinct impression' that he felt the natural order of things was being 'violated' and that he was, in effect, 'being dismissed by his housemaid'. 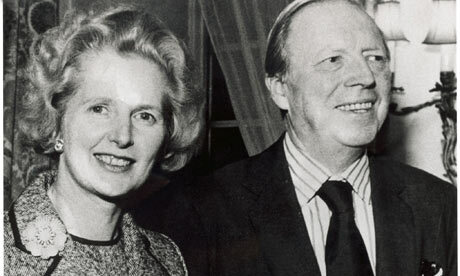 Soames decided to give Thatcher a piece of his mind as is reported to have 'assailed her for twenty minutes for her various shortcomings'. His irritation was manifest and it was said that his 'thunderous' and booming voice 'could be heard out of the open window halfway across Horseguards Parade. Christopher Soames reportedly complained to friends that he would have sacked his gamekeeper with more courtesy than Mrs Thatcher had shown him (though why one should expect gamekeepers to be shown less courtesy than Lord Soames in matters of employment was not clear). On the other hand, it is abundantly clear that Margaret Thatcher had summed up Christopher Soames and his attitude to her and to the Conservative Party fairly accurately. There is an interesting and entertaining piece by Charles Clarke (yes, that Charles Clarke), entitled 'David Cameron top of the league? You're having a laugh!'. It is based on a talk he gave at a symposium on Conservative Leaders at Queen Mary College in London last December and on work produced in a book he co-edited with Toby James, Tim Bale, Patrick Diamond, British Conservative Leaders. What Clarke writes about in the article, backed by tables from Rallings and Thrasher's British Electoral Facts 1832 - 2012 is the relative placing of various Conservative Prime Ministers on the basis of how many seats and what proportion of the electoral vote they managed to gain. So who do you think might be the top three? Well, number one is Sir Robert Peel who fought three elections and who oversaw the acquisition of 192 seats and a cumulative change in 21.5% of the votes in the Conservatives' favour. Number two is the Marquess of Salisbury who fought five elections and acquired 165 seats and 8.3% of the electoral vote for his party. And number three? Ha! I bet you cannot guess who it is. In fact, it is David Cameron with two elections, 133 seats and 4.5% of the vote. When it comes to electoral changes rather than seats there is a slight confusion as the correlation is not that straightforward. 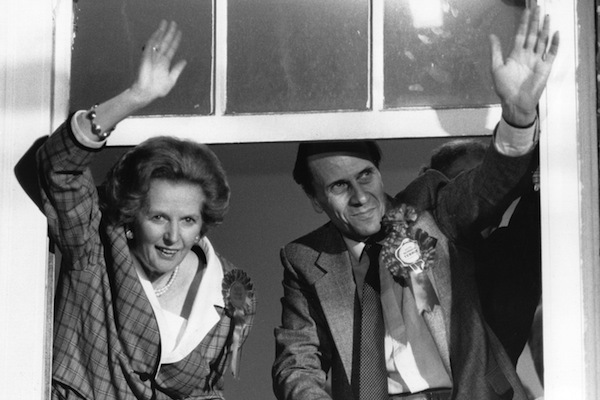 Thatcher, with three elections, comes fourth in the number of seats (99) and in percentage of vote (6.5%) but Baldwin who comes fifth in number of seats (75) comes second in share of votes that changed to the Conservatives (15.8%). So the much despised David Cameron ranks third by seats and fifth by share of votes. It so happens (she says casually) that I predicted that the Conservative would win the General Election of May 2015 and would be forming a government on their own. So all comments about how surprising the result was leave me cold or, to be precise, cold and disdainful. Not to some of us, it was not. But I had not realized Cameron's achievement as Leader until I read the article and looked at the figures. Oh and if you are interested, Churchill comes fifteenth in ranking by seats, having cumulatively lost 108 over three elections and twelfth in share of votes, having lost 5.3%. Whatever one may think about him as a politician and a war leader (two very separate things) one thing we can say with certainty: he remained unpopular until he actually retired and was raised to the status of a political demi-god in the ten years between his retirement and his death. 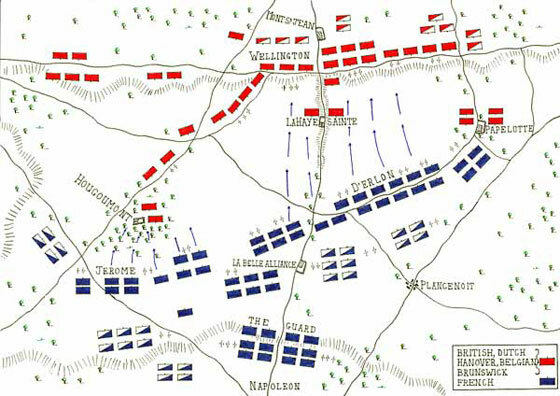 One of the most famous battles in English history, a stupendous achievement by English arms but did it achieve anything? Well, it made the English temporarily victorious in the Hundred Years' War, created a great legend, which, oddly enough was largely true - the English and the Welsh army was considerably smaller than the French, which they defeated - and staved off the war between the House of York and the House of Lancaster. Here is a useful account and a list of ten reasons why the French were defeated by numerically inferior forces. Margaret Thatcher was born Margaret Roberts in Grantham on October 13, 1925 in Grantham. 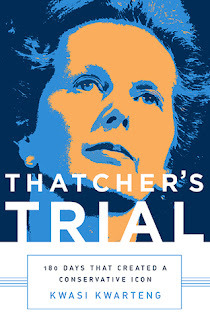 As the second volume of Charles Moore's biography is being read (though not yet by me as I am still immersed in Rab Butler who is unlikely to have approved of the Iron Lady) there seems no point in going through her various deeds and achievements here but a brief chronology, as posted on the Margaret Thatcher Foundation site is useful. 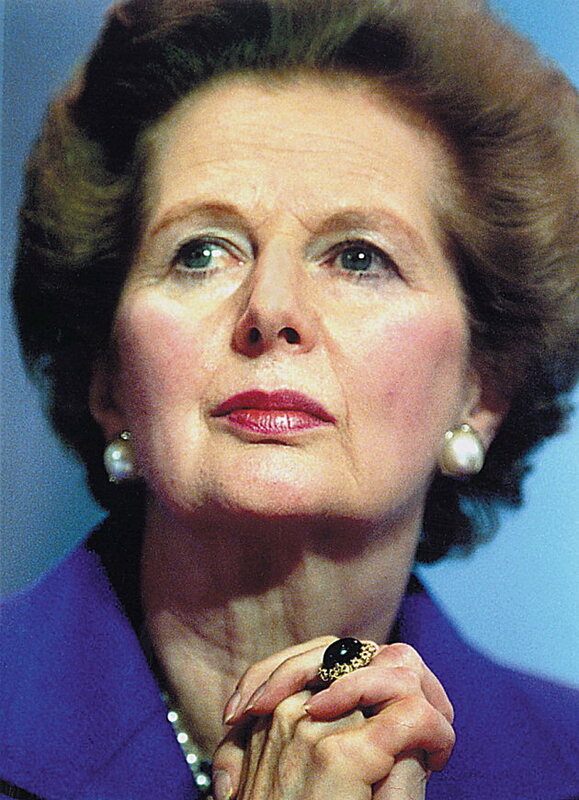 Her importance can be measured not through the words and attitudes of her admirers, especially as a number of us have managed to perceive that she was wrong from time to time either because she had to placate and earn the loyalty of all members of her party or because certain measures would not have been passed or because she was simply wrong. 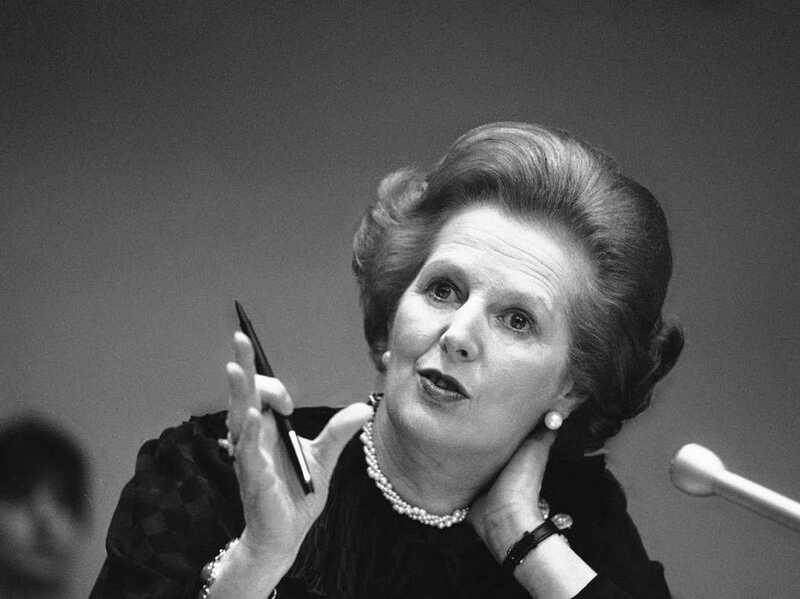 It is the fury and hatred that her name excites in so many people of varying ages who do not even know what it is they hate and certainly cannot argue any valid alternative ideas that is the true measure of her greatness. 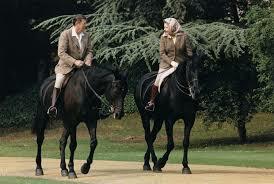 Here, as ever for this blog, a few pictures of the greatest Prime Minister of the twentieth century, chosen at random. By which I obviously mean the First World War since neither before or since has our perception of a war been so influenced by literary output, particularly of outstanding poetry. 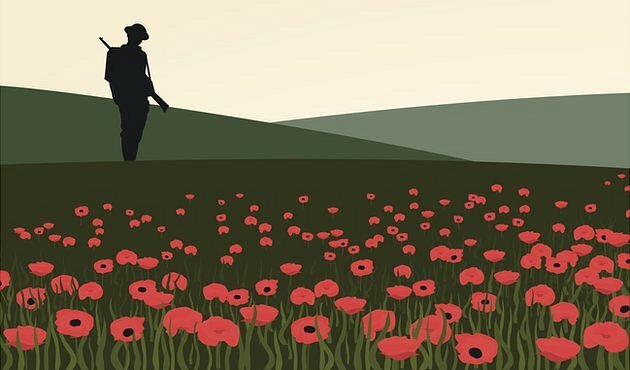 Since most British poets and writers seem to have served on the Western Front, the literature has contributed to the country's obsession with that part of the war, important but not the only one. Even the lavish centenary celebrations last year have not changed that attitude much. in the Gallipoli campaign, bloody as it was, two-thirds of he two hundred thousand Allied casualties were caused by disease rather than enemy action. 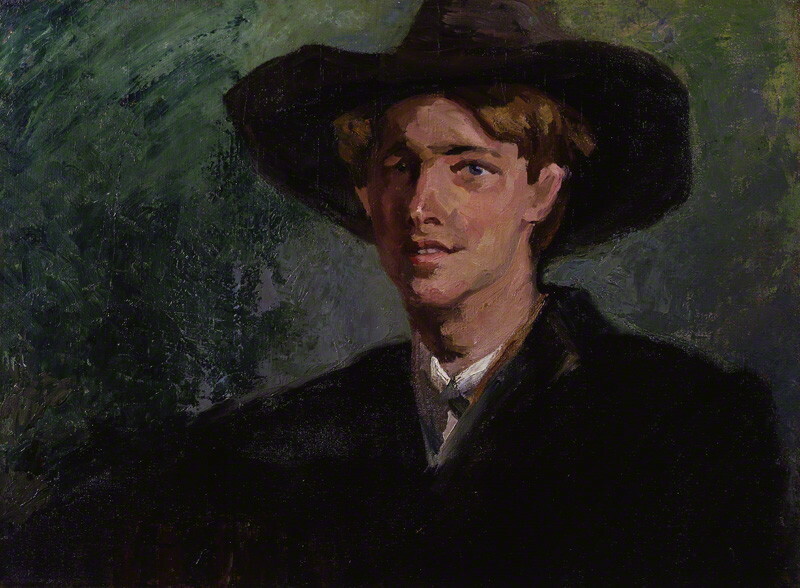 One of those was Rupert Brooke who died of septicemia, caused by a mosquito bite and exacerbated by general weakness and low immunity. 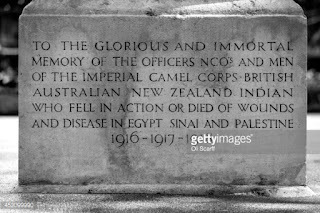 It always seemed to me rather touching that the wonderful memorial to the Camel Corps on the Embankment, commemorates all the dead, whether in battle, of wounds or disease. Fatal Glamour is an interesting biography and deals with Brooke as he was, warts or feet of clay and all, much of which was hidden for many years by the people who published his poetry, letters and a few biographies. The image of the golden boy (and he really was extraordinarily good looking), the poet (he certainly was talented as several of the best poems show), the warrior (that is more dubious but not for lack of trying) being struck down as he went to war for his country and for Western civilization had to prevail. There is no question, there were many faults in Brooke and his personality had many problems and episodes of instability. Would he have overcome them, had he survived the war or would he have descended into manic depression, which is one possible explanation for his break-down in 1912 and his behaviour afterwards? None can tell. No more can we tell whether his talent would have developed into something truly magnificent or whether he would have become another second-rate poet like the other Georgian poets? Would his literary talent have stayed with the war like Sassoon's did or moved forward like Graves's did? We can but speculate and, sensibly, Paul Delaney does very little of it. There is so little to go on. He does make a very interesting point about the role of Brooke and the other poets and writers, people who came from a class that had not, traditionally, sent its sons to war and who, therefore, reacted with greater horror to what they faced. 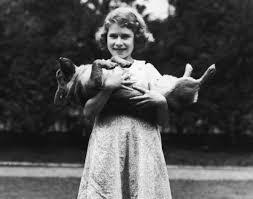 Rupert's death would have counted for much less if he had been a conscript. As a volunteer, it mattered little that he had died of illness just before his fellow officers were mowed down by the Turks. He had chosen to face death for his country; his country had not chosen for him. And he had volunteered as a poet, who in his war sonnets had expressed the volunteer's creed of self-sacrifice. Nor did all war poetry need to be of that kind: the poets of disillusion - Sassoon, Graves, Owen - had been volunteers, too. The 1914 - 15 generation of volunteers had a unique moral authority, sandwiched between the professionals of the British Expeditionary Force and the conscripts of 1916 - 18. 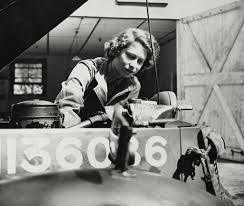 No other belligerent country had met its wartime needs for soldiers in the British way; not coincidentally, none of those countries produced a comparable generation of poets. Whatever the excesses of Rupert's war poems, he still had his place in that lyrical flowering, without precedent before or since. Numbers of volunteers went down as the news from the Western front and Gallipoli came in and by 1916 those who maintained that the war could not be fought or won without conscription were politically victorious. The idea that had been proclaimed as un-British for decades became acceptable and by 1939 taken for granted. After Denis Healey's death a few days ago I wondered whether any of the old Labour politicians were still around and came to the conclusion that Healey was the last link with the Labour Party that still had some kind of a vision of the future. 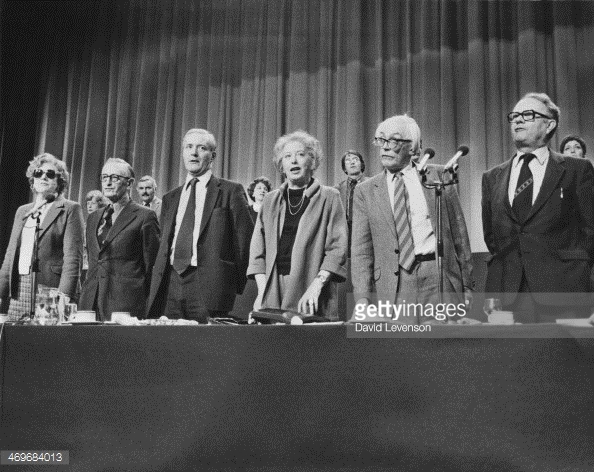 As it happens, their vision was all wrong and the Wilson/Callaghan governments were incompetent to an extraordinarily high degree. 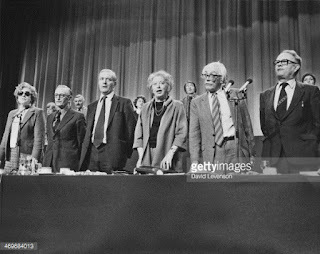 I hope my readers will not misunderstand me: I have no nostalgic feelings for the Labour Party of those years except that I do miss the personalities and the fact that there were some ideas, however wrong-headed, floating about on the left. What we have now is a party that has absolutely no notion of what it would like to see except for the fact that it does not like the way the world and, particularly, this country has developed in the last few decades and would like to turn the clock back to some mythical socialist or semi-socialist paradise. For that reason, I could not help sighing when I read about Healey's death though I also could not help remembering all the many things he and his colleagues got wrong. 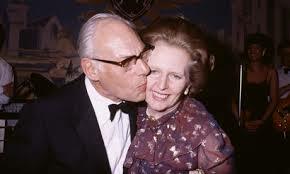 The British are famously indulgent when it comes to elderly politicians, turning them into cuddly national treasures regardless of what they did in their prime, especially if they are on the left. It happened to Tony Benn and Michael Foot, is happening to Shirley Williams and is even going to happen to Neil Kinnock.‎ Having reached the splendid age of 98 it was always going to happen to Denis Healey, but that doesn’t excuse the Sunday Times obituary by the novelist Robert Harris which described Healey’s five years at the Treasury in the 1970s as “bruising” when they were in fact catastrophic and humiliating for a western democracy. They were the years of going cap in hand to the IMF, of the winter of discontent when the rubbish lay uncollected in the street and the dead went unburied, of the confiscatory 98 percent top rate of income tax when Healey deliberately chose to tax the rich till the pips squeaked (a phrase he unconvincingly afterwards denied using). All of these national humiliations were Healey’s fault, though you wouldn’t have guessed it from the adulatory obits on the BBC and other media. 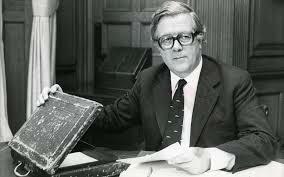 Let us now turn to the man whose death we are mourning today and whose tenure as Chancellor is usually judged to have been remarkably successful: Geoffrey Howe, who has died at the age of 88. The BBC gives a general overview of the man and his career, mentioning that he died of a suspected heart attack "after attending a jazz concert with his wife Elspeth". Being acquainted with the redoubtable Lady Howe, the supposed real author of her husband's infamous resignation speech of 1990, I can well believe it. 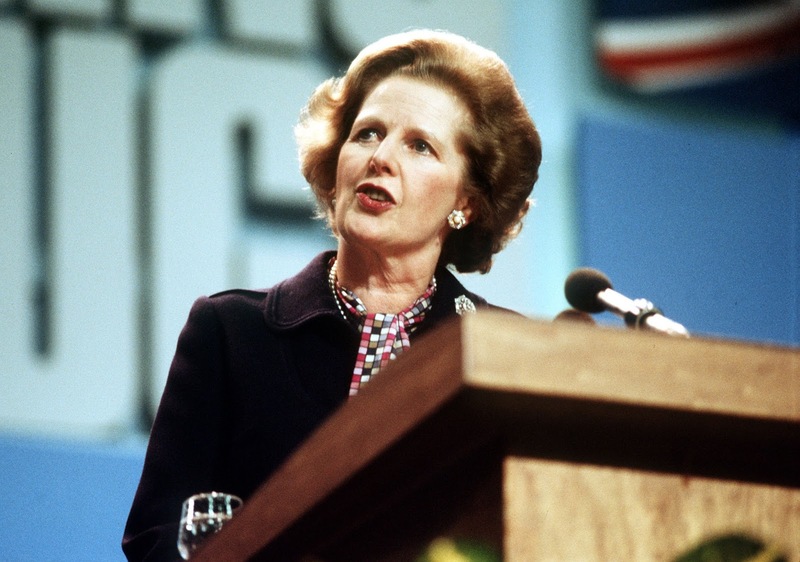 The Independent gleefully provides a video of that speech in 1990, which is commonly held to be the beginning of the end for Margaret Thatcher's premiership. It also provides an extraordinarily badly written article by someone called Olivia Blair (no relation, I assume). Has the Indy given up hiring hacks who have writing and research skills? The Telegraph has put up a picture gallery of Lord Howe of Aberavon's life and, one assumes, will have a more balanced obituary tomorrow. It is, perhaps, unfortunate that Geoffrey Howe's life and illustrious political career will be for ever defined by that resignation speech. A few years ago, in the course of some research, I looked up the text in Hansard and was stunned anew by the sheer venom it expressed towards the Prime Minister. It is no wonder she and many others were shocked. Several points need to be made. The first, a minor one, is that the American journalist who introduces the recording for an American audience, unlike the Indy hack, gets the title right: he was Sir Geoffrey Howe not Sir Howe. Which takes me back to my question about the Indy. More importantly, Sir Geoffrey's analysis of the history and developments in the European Community (as it then was) is somewhat inaccurate and his predictions are wrong. Then again, many of the same arguments are being used now by the people who want us to vote to stay in the European Union. I suspect Lord Howe was not happy about political developments in this country in the last few years as far as the membership of the European Union is concerned. Nor could he have been happy with the political development of the man who was sitting next to him and to whom he referred several times as one who was in agreement with him. The Rt Hon. Member for Blaby was Nigel Lawson, also a former Chancellor of the Exchequer, subsequently Lord Lawson of Blaby and most recently President of Conservatives for Britain. He is likely to play a prominent role in the campaign for Brexit. 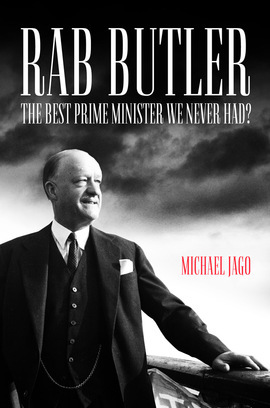 No, not the second volume of Charles Moore's monumental biography of Margaret Thatcher, something I am looking forward to reading, but a book that is almost more interesting to an historian: a biography of Rab Butler, usually described as the best Prime Minister we never had. When I first heard about it from the author, Michael Jago, I told him (by e-mail) that my attitude to Butler was ambivalent. In other words, I am not sure that he is the best Prime Minister we never had as I cannot help thinking that a man who allows the premiership to slip away from him three times had the necessary fire in the belly for the job. Without discussing all that, Mr Jago said that he, too, is ambivalent, despite or because of the biography he has just written. 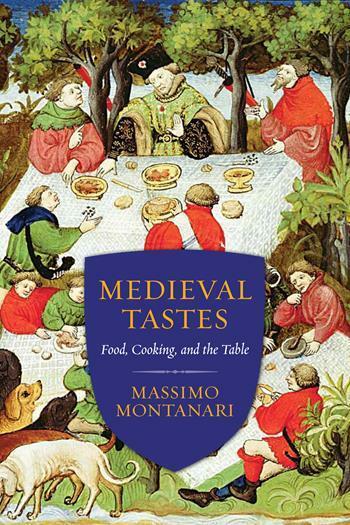 That is a fascinating attitude and I am greatly looking forward to reading the book. 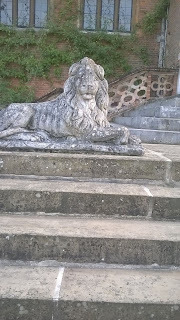 Hatfield House closes for the winter today but a couple of weeks ago Tory Historian went to visit that very fine home of generations of English, later British politicians, Conservative ever since that became possible. 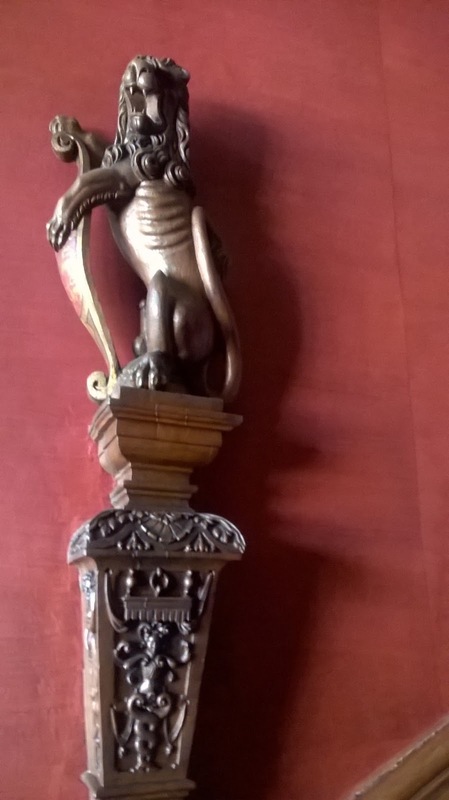 This blog will consist largely of pictures taken inside and outside the house, starting with the grand statue of the 3rd Marquess that greets visitors outside the main entrance to the estate. 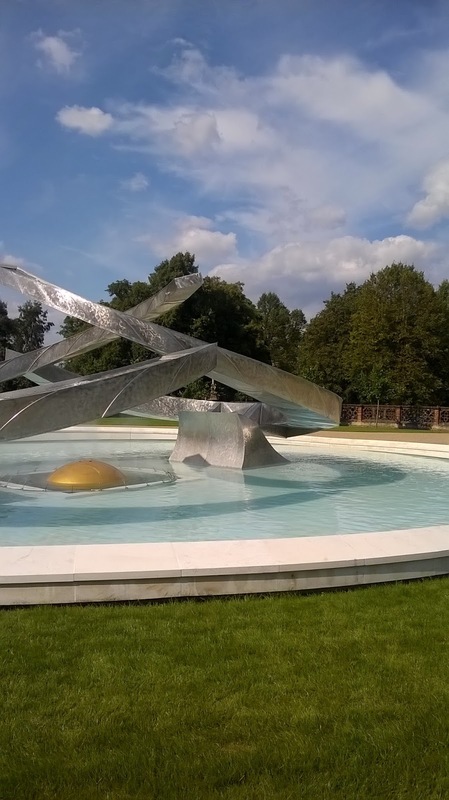 Tory Historian is aware of some controversy about the latest addition, the fountain in front of the House itself but comes down on the side of those who like it. The title Renaissance recalls past glories and the golden globe that rises and falls in the water is a reminder of those elaborate renaissance structures as well as a play on the original meaning of the word, rebirth. 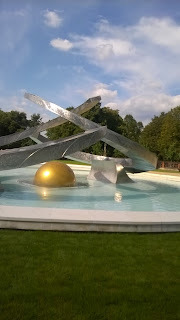 Yes, it is very modern but that adds to the attraction. Hatfield House is still the home of the Marquess of Salisbury and his family; even the stately rooms are used for such events as Christmas dinner and the present holder of the title takes his duties to the name, the estate and the house seriously. 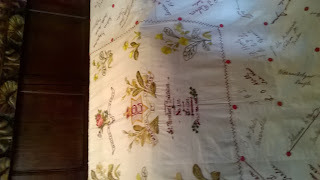 That means adding new furniture, new structures, new decorations - Hatfield is part of English history and that goes on. What of the pictures and furniture inside? Readers must forgive TH's particular interest but this Primrose League cover caused much delight. A more recent involvement in British political and literary life by members of the Cecil family was illustrated in one of the drawing rooms by a display of copies of the Salisbury Review. For the moment we shall stop here. 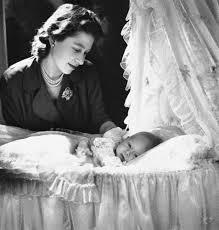 Another posting will have portraits of Queen Elizabeth I and of members of the Cecil family. 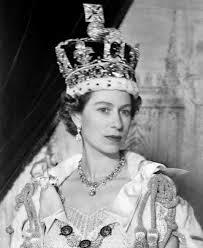 Today Her Majesty Queen Elizabeth II becomes this country's longest serving monarch and she is celebrating that day in Scotland, in many ways a very appropriate thing to do. 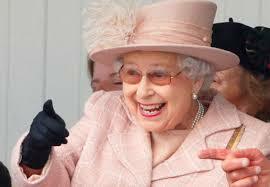 She is, as all but her most venomous opponents know, half Scottish. Recently I watched another production of Macbeth (a Chinese one by a theatrical company from Hong Kong, since you ask) and was once again amused by the witches' prediction that Banquo's descendants will rule the Kingdom of England, Scotland and Ireland. Well, maybe they did for a while. 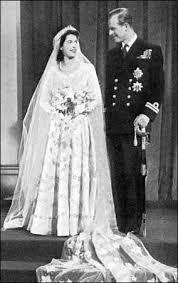 But the Queen Mother was, before she became the Duchess of York, Lady Elizabeth Bowes-Lyon, the daughter of Lord Glamis (later the 14th Earl of Strathmore and Kinghorne in the Peerage of Scotland). Elizabeth of Glamis, in other words. 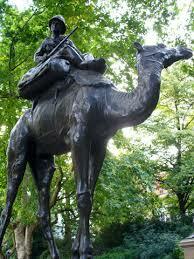 And who was the Thane of Glamis before he went on to bigger things and eventually his downfall? Macbeth. There are many more that other people might prefer. 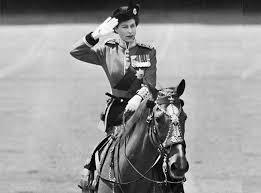 The Conservative History Blog wishes Her Majesty a very happy day and many more to come. The most appropriate reading matter at the moment is The Tory World, edited by Professor Jeremy Black and published earlier this year. 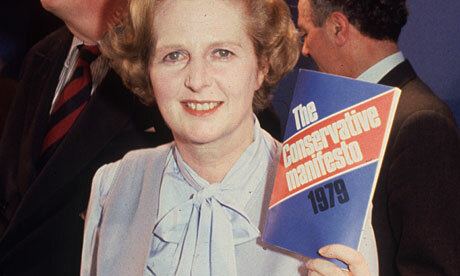 The book's subtitle is Deep History and the Tory Theme in British Foreign Policy, 1679-2014, which speaks for itself. It is a collection of essays by various luminaries (some more than others and none of them female) about Tory and Conservative ideas about foreign policy, not as simple a subject as it might appear to those who think only in terms of Disraeli or Churchill. In fact, on reading the Introduction by Professor Black himself, I recalled a conversation I had with Professor John Charmley, who has made a few appearances on this blog already, in which he argued forcibly that we misunderstand Conservative thinking about foreign policy because we concentrate on the adventurous, often imperialist and always pro-active ideas of such people as Benjamin Disraeli and Winston Churchill. In the light of that, I am looking forward to reading Richard Toye's chapter in this collection, entitled Winston Churchill - Conservative or Liberal Imperialist?. Here is Professor Black's definition of 'deep history' or, at least, an attempt at a definition. Thus, the extent to which there is 'deep history' in Conservative views on the outside world and to which views on this subject provide a 'deep history' and continuity for Conservatism, are central issues. 'Deep history' is the long-term, seemingly inherent assumptions, the emotions of policy that help create teh context for the politics of the shorter term. As they used to say, discuss. That is precisely what I intend to do as I continue reading the book. Working on an article about the prominent Conservative activist Lady Knightley of Fawsley who has been ignored by feminist historians for far too long I came across an interesting quotation in the first volume of her diaries, edited by Julia Cartwright (Mrs Ady) and published in 1915, two years after the diarist's death. The entry is for July 30, 1860 when the then Miss Louisa Bowater was eighteen years old, well educated (at home), widely read and fascinated by many things: politics, religion, art, literature and social matters as well as day to day gossip and entertainment. From the age of fourteen she had kept a meticulous diary that is not only very well written but is a fascinating source of information about life and political matters of the period. I was in great luck this evening for my cousins Charles and Harriet Ridley came down for the night, and at dinner I sat between Charles and Mr Hough, the Vicar of our church at Ham, with Harriet on the other side. The two latter had not been together many minutes before they were deep in theology, and presently I contrived to get a word in. We discussed Kingsley first of all. Mr Hough knows him intimately, and says he is a most extraordinary mixture, a rationalist and man of very unsound principles, an inveterate sportsman, greatly in earnest and at the same time undoubtedly attractive. The word 'earnest' made Mr Hough remark that a great deal of mistaken homage is paid to earnestness without much regard to what the earnestness is about. I said, surely there was more hope of a man who was really in earnest about something, becoming earnest about the best things, than of a trifler. He disagreed, saying that the more firmly a man was wedded to wrong opinions the more difficult it was to turn him from these. A few explanatory points need to be added before I turn to my main one. The Kingsley mentioned in the entry can be no other but Charles Kingsley, a well known and controversial figure of the period. 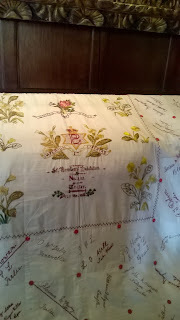 The Bowater family lived for at least half the year, sometimes longer at Thatched House Lodge in Richmond Park, which in 1843 had been given to Louisa's father, General Sir Edward Bowater, a veteran of the Peninsular War and of Waterloo, who was Equerry to Prince Albert and, later, Groom-in-Waiting to the Queen. On his death, in December 1861 the house was given to Lady Bowater for life. Hence "our church at Ham", whose vicar seems to have been a narrow-minded sort of person and whom Miss Bowater seems to have found rather amusing and intellectually not very inspiring. Nevertheless, one cannot help feeling that on this point he was more nearly correct than she. Earnestness, in itself, is no recommendation any more than the presence of principles, the modern equivalent of that. We do not value earnestness particularly but there is a great deal of praise for people, especially politicians, who "at least have principles". Depends on what those principles are, say I. Vladimir Lenin had principles as did many of his predecessors in the Russian radical movement. Can we really honestly rejoice in the fact that he came out on top in 1917 - 18? Some time ago there was a brief posting on this blog about Russian conservative thinkers who, though more influential in that country, tend to be overshadowed in the West by the more glamorous liberal and radical activists and theoreticians. Tory Historian’s own view that a good deal of trouble has come from Sir Isaiah Berlin, who first popularized Herzen and his successors in the West in the twentieth century. This was real popularization. No university course on Russian history managed to get by without studying Russian Radical Thought. And Sir Isaiah’s admiration prevailed. He ignored the nastier aspects of that thought and concentrated on what he saw as the nobility of the struggle. 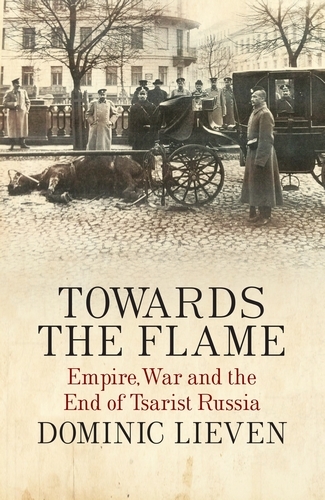 Our perceptions of Russian history are still coloured by that. Sir Isaiah Berlin, though an important theoretician of liberalism, is not a hero on this blog, partly because of his behaviour at various times and partly because of his thinking about other people, such as the Russian radicals. To him, their principles, their earnestness (and goodness me, were they earnest!) and their undoubted courage in their fight with the Tsarist regime was sufficient. Their actual ideas he skated over lightly. From 1689 to 1697 Britain was at war with France - one of the consequences of the Glorious Revolution that Whig historians do not emphasise too much. In 1702 the country went to war again with France. 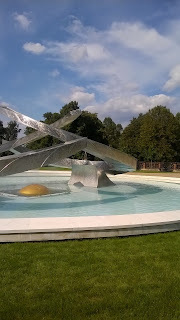 During the summer of 1711 Lord Bolingbroke, Queen Anne's Secretary of State for the Northern Department began secret peace negotiations with the French Foreign Minister, Torcy and a preliminary peace treaty was signed on September 27. 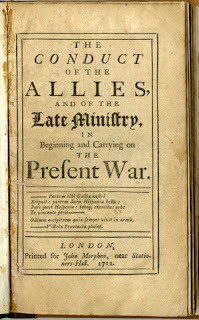 Two months later Jonathan Swift published The Conduct of the Allies, a withering attack on the Whig Ministry, its bellicose behaviour, Britain's allies and the great commander, the Duke of Marlborough. 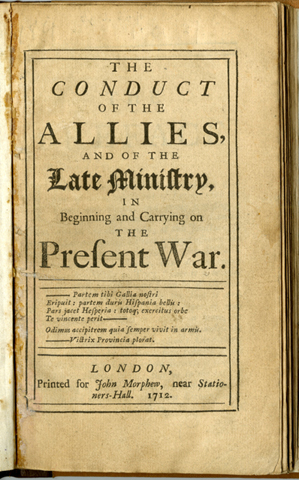 In a country, exhausted by the war, the book became a great popular success and by the end of January 1712 11,000 copies were sold - a respectable number that would be envied by almost all writers even now. He then explains at length why the denizens of the City and of Westminster coffee-houses are not to be trusted. 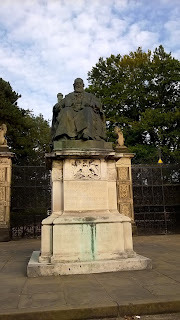 I have now finished Hugh Tulloch's Acton,as blogged about here, and should like to quote a couple of paragraphs about Acton the historian, who remains a somewhat controversial figure. He attempts to disarm and persuade with the aid of every cunning literary device. The insidious conjunction of adjectives in his essay on the St Bartholomew Massacre - 'holy deceit'. 'pious dissimulation', 'cruel clemency', 'inhuman mercy' - subtly suggests moral disorientation and reinforces the central thesis of the Counter-Reformation's perversion of religious faith. In private correspondence, especially, he rarely enters a qualifying clause and the unequivocal assertions harden into ruthless gems. 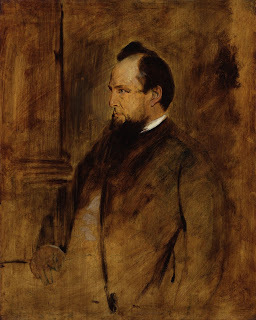 His editors Figgis and Laurence, asserted euphemistically that Acton was not prone to doubts; the more detached Henry Sidgwick observed that he threw off highly questionable assertions as if they were trite commonplaces. Readers of Acton should always beware and be on their guard. He [Acton, obviously] leaves an uncertain legacy: an unobtainable ideal and a life and writings whose flaws exemplify its impossibility. But perhaps his sublime confidence is a worthwhile corrective to the more prevalent vanity of misguided humility. Acton's historical vocation was shaped from his childhood. 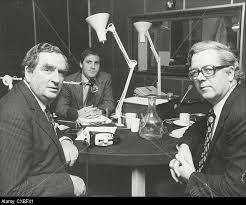 He possessed the necessary fascination and respect for facts and for details of the actual. He possessed a highly developed sense of historical continuity and was intensely aware that the unseen past was always present and weighed down upon us. He wished to reimagine and recreate that elusive but significant past, and its physical remains helped to evoke it: the singed volume which Servetus carried with him to the stake that Acton inspected in the Bibliothèque Nationale, the yellowing plumes on Henry IV's armour which he saw in the Venice arsenal, the almost perfectly preserved remains of Tilly, the imperial commander during the Thirty Years' War. He believed that a study of the past bestowed an extra sense, which enabled the historian, steeped in time and the specific, to step outside it altogether. 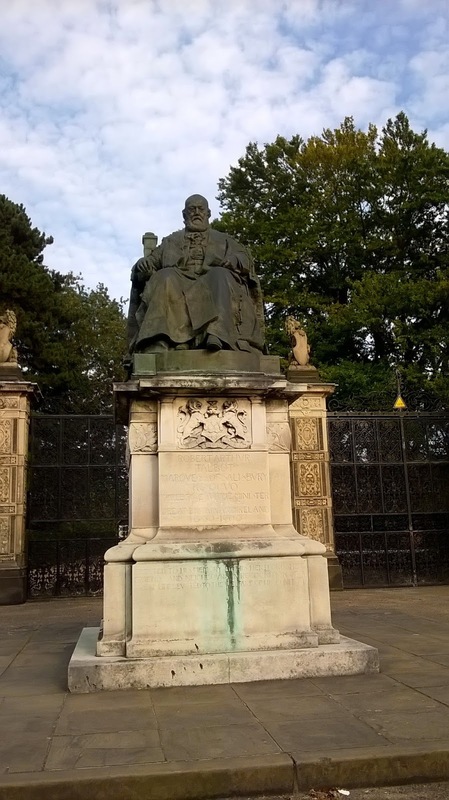 Why wait for posterity's judgement on Mr Gladstone? Following an earlier conversation, Acton offered it at once: 'shut your eyes to my handwriting,' he wrote to Mary Drew, 'and ... you shall hear the roll of the ages.' By a strange alchemy a contemplation of the unique and particular allowed the historian to escape the temporary and the transient, and to fasten on abiding issues. History redeemed man from time. How many academic historians have the imagination to see matters in that way? Can historians disappear from history? The character and achievement of Lord Acton, quondam Regius Professor of Modern History at Cambridge (though he had not been allowed to study there as a Roman Catholic) and editor of the Cambridge Modern History remain fascinating and controversial among historians. On the whole he is now considered to be of greater significance than he was at one time when all his work had been dismissed by such men as G. R. Elton and A. J. P. Taylor. 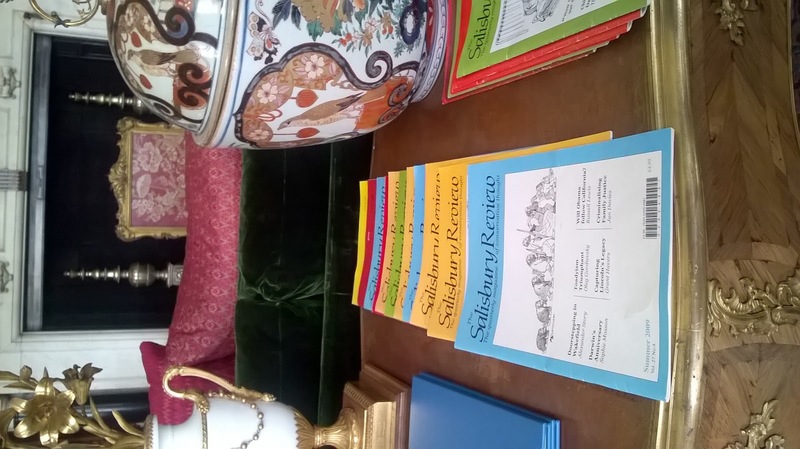 There have been numerous books written about hims and most of his writings, including letters have been published. I was rather pleased to find a short summary of his life and work by Hugh Tulloch, published in the series Historians on Historians. (In fact, I am now on the look-out for other volumes in the series). Tulloch's attitude, as he says himself, wavers between admiration and dislike, thus making it possible for him to give a more or less objective account of this complex man and his voluminous writings (oh yes, he did write). For I do not believe that he was whig or naive, innocent or optimistic, and in hoping to rescue him from his detractors I have had to to treat him in a profoundly un-Actonian way. He always insisted that the historian must disappear entirely from his history: I am unable to separate the two. Despite his many disavowals, the man and the historian were not distinct, nor were his historical writings separate from his personal history. At each juncture of his life, as combative Catholic, as arch-enemy of ultramontanism, as Gladstonian Liberal, the pressures of his current preoccupations subtly intrude, moulding and distorting his vision. I hope that a study of the historian enmeshed in his time will contribute towards a clearer and more balanced understanding. 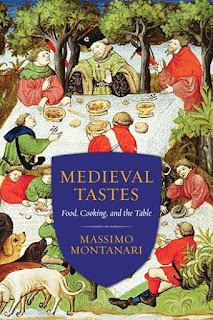 The historian whose personality and preoccupations do not intrude into his (or her) writing is, I suggest, impossible to find. Seventy years ago the first atom bomb to be used in war was dropped on the city of Hiroshima, the second one, on Nagasaki to follow two day later. It undoubtedly ushered in a new world politically and militarily and has remained in many people's minds the pre-eminent example of a war crime. In fact, the casualties incurred by the firebombing of Tokyo were higher and when it came to war crimes, there were many competitors for the title of the worst. 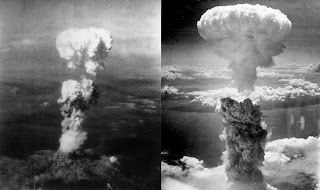 The decision to drop the two atom bombs was taken by President Harry S Truman because he considered, probably rightly, that the this was the only way to bring the war in the Pacific to an end speedily without further very high American and Japanese casualties. That alternative would have probably meant many more British, Australian, Indian and other casualties. Do not let the French fool you. 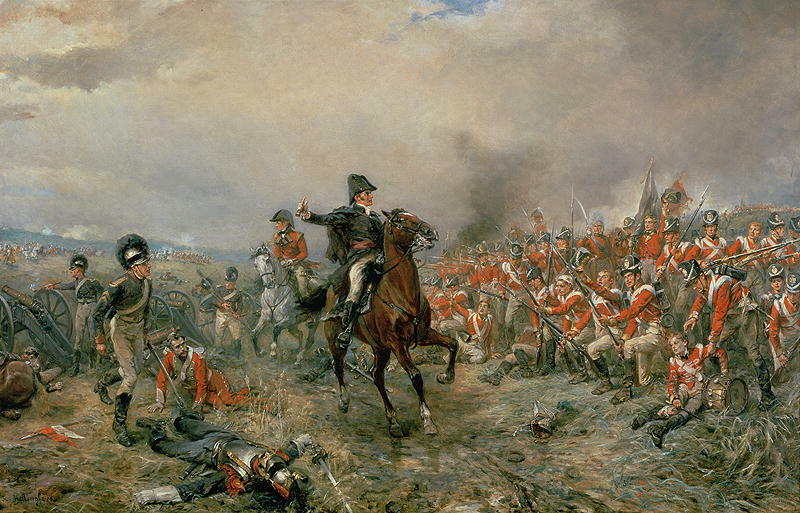 Waterloo was a victory for the Allied armies, commanded by the Duke of Wellington and the Prussians, commanded by Marshal Blücher. Furthermore, the defeat was catastrophic for France as, indeed, Napoleon's victorious and not so victorious wars had been. It was the end of France as a great power and even the attempt to create a European Union on French lines is not turning out to be the success it had been hoped for. Well, not for France. First a notice of what promises to be an interesting talk at the British Library about the other Charters. 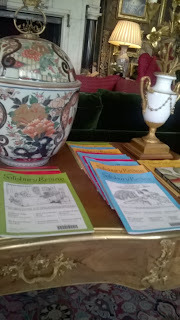 It is called Statutes, Constitutions and a Golden Bull: Early European Parallels to Magna Carta. The Golden Bull has been mentioned on this blog before but the others,the Statute of Pamiers (1212, the Constitutions of Melfi (1231) and the imperial land peace of Mainz (1235) sound very interesting as well. If humanly possible, I shall be there and report on the event. Meanwhile, what do the authors say in Chapter 19? That no one was to be put to death, save for some reason - (except the Common People). That everyone should be free - (except the Common People). 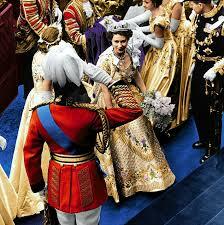 That everything should be of the same weight and measure throughout the Realm - (except the Common People). That the Courts should be stationary, instead of following a very tiresome mediaeval official known as the King's Person all over the country. That 'no person should be fined to his utter ruin' - (except the King's Person). That the Barons should not be tried except by a special jury of other Barons who would understand. After this King John hadn't a leg to stand on and was therefore known as 'John Lackshanks'." That, I think, makes it all crystal clear. I shall be asking questions later. Really, I should not spend so much time on detective stories and matters related but Martin Edwards's recent book on the Detection Club and its denizens is good enough and important enough to merit a long posting on the secondary blog. How right she was. Furthermore, despite all predictions to the contrary, traditional murder and detective fiction go on forever. Nothing could prove that more clearly than the popularity of the British Library series of reprints, first of Victorian but more recently of various half-forgotten Golden Age detective novels and collections of short stories, all of which have been immensely popular. 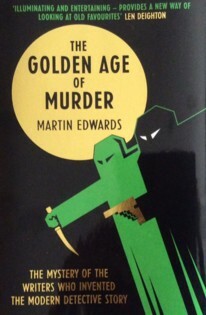 Martin Edwards’s role in publishing and publicizing the series cannot be overestimated. 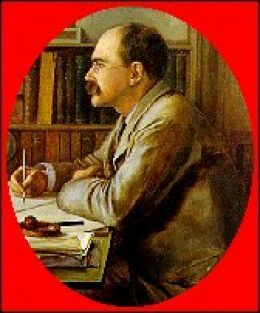 He has chosen the books, provided highly knowledgeable introductions to a number of them and edited collections of short stories. While doing all that he has been writing his own books and running a blog about detective fiction that is to be recommended to anyone who is even half-way interested in the subject. His greatest achievement to date, however, is this massive volume, a history of the Detection Club in the thirties and forties, a collection of biographies of the extraordinary people who were its members and, incidentally, a history of the genre in the period. That is what I call a useful book.